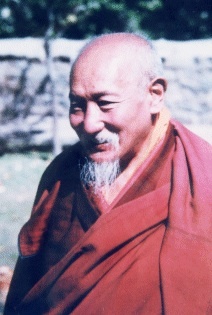 Thuksey Rinpoche Ngawang Gyurme Palzang (Wyl. thugs sras rin po che ngag dbang 'gyur med dpal bzang) (1916-1983) was the son of the tenth Gyalwang Drukpa and the grandson of Tokden Shakya Shri. His reincarnation, Drukpa Thuksey Rinpoche, Jigme Mipham (b. 1986) was recognised by H.H. the Dalai Lama and Gyalwang Drukchen Rinpoche. This page was last edited on 6 February 2017, at 22:12.